In late January, Monster Hunter World already solidified its spot on my game of the year list, as I talked about in my review of its console version. 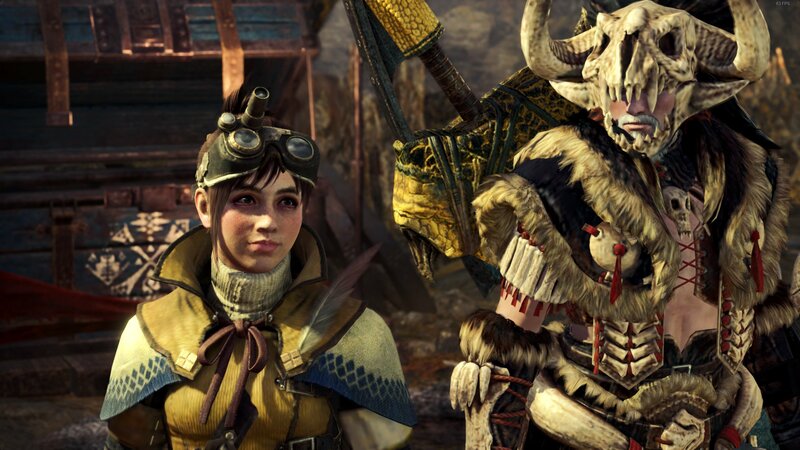 Six months later, we’re finally getting to play the PC port, and to all intents and purposes, it’s looking like it’s the definitive way to play Monster Hunter World. If you have a computer that can handle its requirements, you’ll find that the PC version of World is among the better ports that Capcom has put out lately — I’m comparing it to their releases of Resident Evil 7 and Street Fighter V, which I own and play regularly. Safe to say, there have been a few hiccups here and there that were reported by tech sites with a far greater knowledge of hardware specs than me, something that usually happens with PC ports due to the incredibly wide range of hardware parts and setups. In my personal experience playing, found that the game runs pretty smoothly on my 2 year old rig. Back in 2016 when I finally got to put together my new computer, I didn’t run out and buy every single part that I needed, it took me a couple of years beforehand gathering a few components, so not all was brand-new at the time, like my GPU, which is a GeForce 670 that was already not top of the line when I originally bought it in 2015. Still, I did get quite lucky at that time and was able to get my hands on a pretty good CPU chip, an Intel Core i7-6700K CPU 4 GHz, as well as two 8 GB RAM sticks, one of which has since burned out, so I’ve been running on a single one for a while. Even on that setup running on Windows 10 64-bit, Monster Hunter World has been running admirably well on ‘high’, with a mostly smooth frame rate of around 60 fps. I’m not much of a stickler for counting frames, so it might be getting slowed down sometimes, but nothing noticeable so far. I scaled up to that setting from the starting ‘medium’ in which the game started out during initial boot, and even at that, World looked pretty damn good. I’ve spent about 7 hours playing since getting the review code from Capcom PR on release day, and those frames have come a long way into helping me have a much better experience playing Monster Hunter. Thanks to the smoother performance, it’s much easier to pick up on monster tells and to react accordingly, allowing me to dodge and evade tens of times better than I ever did on PlayStation 4. But perhaps the best aspect on playing on PC, aside from the obvious bump up in graphical fidelity, have been the dramatic decrease in loading times. Monster Hunter World running on a base PlayStation 4 model has its share of lengthy load screens thrown into every single transition between modes, menus and the numerous different sections of Astera, and even though since release the game has seen a lot of improvements on that front thanks to patches, the loading times were still long last time I checked into that version during the Summer Twilight event last month. By simply running Monster Hunter World off of a normal SATA hard drive, I got a significant decrease in wait times, and after I bumped off a few things off my Samsung 850 EVO SSD drive and moved World into it, it’s even quicker to get into a game and transition from section to section, resulting in an infinitely better experience all throughout. Still, Capcom has an issue to look into that deserve some attention before shifting focus on delivering content as well as it has on consoles. First thing, the multiplayer lobby system is in urgent need of fixing. Simply loading into a savegame and going with the usual automatic matchmaking simply isn’t working at the time of this writing. The best solution I’ve found to this is to instead search for a lobby and select one that has more than a single player in it, and then connecting to that in order to play online. I’ve had consistently good connections that way, and have even played a number of co-op hunts and jumped into SOS missions with fellow hunters. I can’t assume everyone’s having the same luck as me in this regard, but if the Steam forums are any indication, Capcom has a lot of work cut out for them in regards to online for this game, in order to make it easier for people to connect to each other. And in that regard, we can cut them some slack and consider this a launch issue that will probably be fixed soon, but it’s still quite annoying, especially when the error prompt takes a few moments to pop up when connecting into a game. Like I mentioned before, I have already put in a lot of hours into this version of Monster Hunter World, and if it continues to perform this well on my PC, it’s probably going to become my de facto way to play from end game forward as new monsters are released and such. That means I’ll probably spend a lot of time getting my character up to the same level of progression as my PlayStation 4 hunter before any new content is out, although I feel like I won’t completely abandon her to her fate there. You can bet that this won’t be the last time reading something I write about Monster Hunter World this year, or even the franchise as a whole for that matter. Monster Hunter Generations Ultimate is set to hit the Nintendo Switch later this month, and I plan on covering that as well. The Monster Hunter bug has hit me good and I don’t regret it one bit! 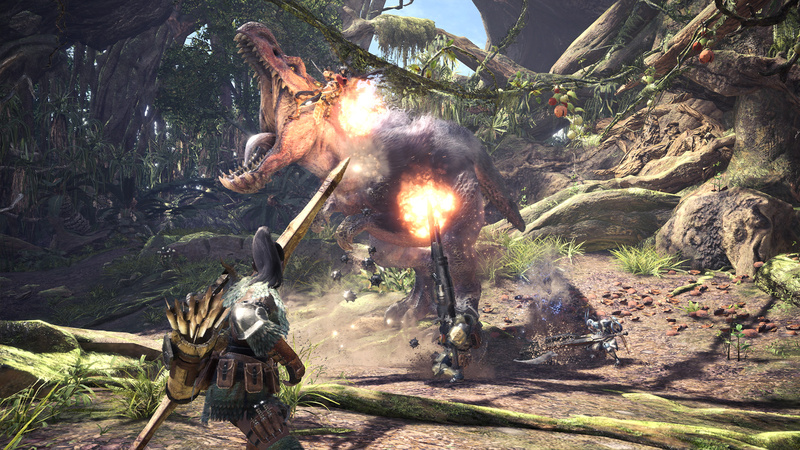 Have you gotten the PC version of Monster Hunter World as well? If so, be sure to hit me up in the comments section, I’m more than keen on grouping up!